I JUST INJURED MY ANKLE. WHEN CAN I PLAY SPORTS AGAIN WITH MY SPRAINED ANKLE? Ankle sprains are among the most common injuries when playing sports. Ankle injuries are especially frequent in athletics including tennis, soccer, football & hockey – sports which involve a lot of direction adjustments. When we refer to ankle sprains, it's the lateral ligaments of the ankle that are most commonly injured. The lateral ligaments are a group of 3 ligaments – the Anterior Talofibular, the Posterior Talofibular, and the Calcaneofibular ligaments. Grade II injuries involve both Calcaneofibular ligaments and the Anterior Talofibular ligament, & may take between 4-6 weeks to completely regain function. Grade III injuries generally include an injury to all three. 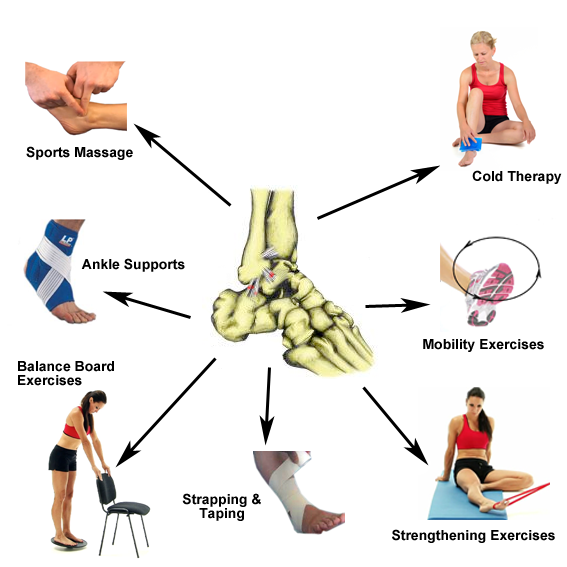 Each ankle strain is significantly different and getting your ankle correctly evaluated allows you to know what you should really be doing at each phase of your rehab. Doing things that are appropriate for your ankle at the right time helps the ligament heal properly and minimizes excess scar tissue. We know that eventually the injured structures heal properly after a strain, but the important thing that people should consider is how they can improve their function and avoid a re-injury down the line. Our physical therapists in Mt. Prospect, IL have advanced training to help you recover faster. HOW CAN I TAKE CARE OF MY ANKLE SPRAIN? Proprioception – To really recover, you have to take your increased ROM and Strength and put it together in a functional way by improving your balance, agility, and coordination. Emery Physical Therapy has provided orthopedic physical therapy for 17 years to Elk Grove and the surrounding local communities. We pride ourselves in using an evidence based treatment plans which includes manual therapy and focus one-on-one attention. Learn more today.